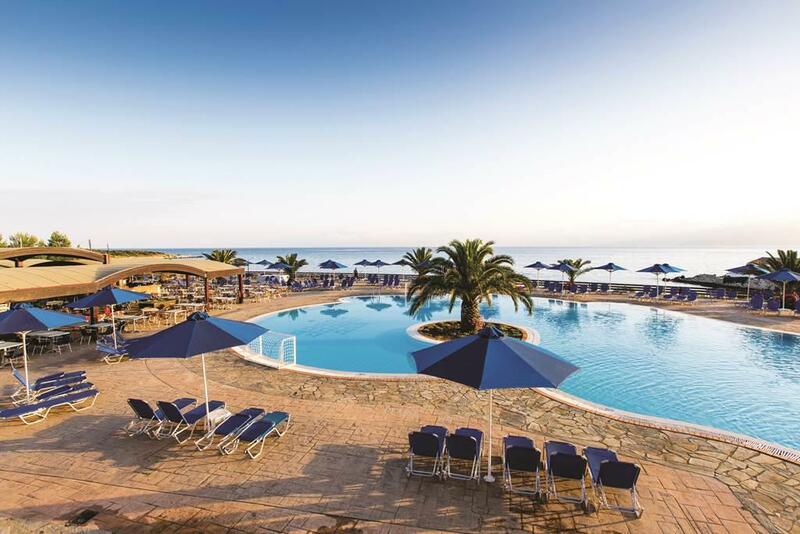 The Mareblue Beach Resort, Corfu, is located in the quiet resort of Aghios Spyridon between the villages of Kassiopi and Acharavi overlooking a beautiful sandy beach. The main building has been recently refurbished including the bar, restaurant and reception areas. 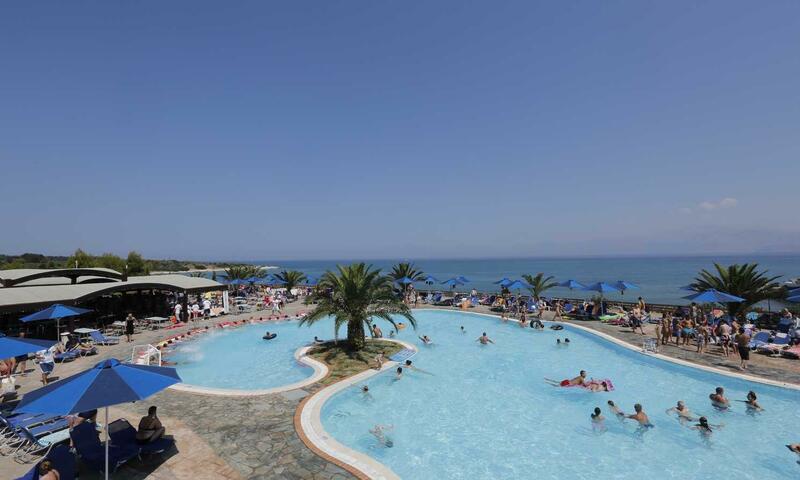 The hotel is ideally located to enjoy the beauty of the area while with its friendly atmosphere, children's facilities, varied activities and daily entertainment ensures a fun family holiday for all. The area also lends itself to leisurely walks along coastal paths and around Lake Antinioti taking in the varied landscape views of the high peaks of Corfu and the breath taking mountains of Albania. 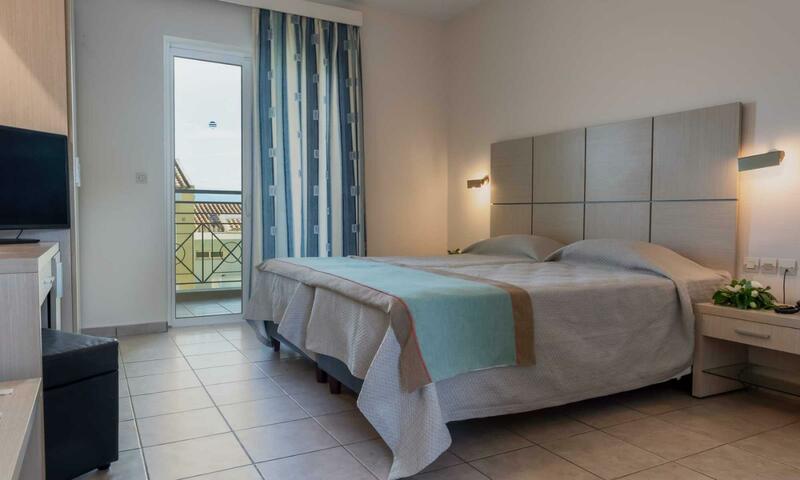 All the rooms at the Mareblue Beach Resort are Doubles, Family or Suites. 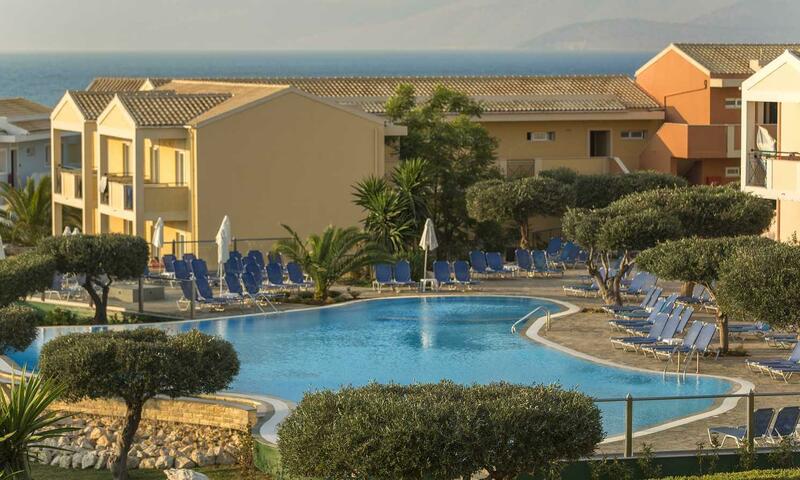 The hotel resort, offers 3 restaurants, all with sea views, among which you can find: the Almyra international buffet restaurant, the Pool Pizza/Pasta Snack buffet style restaurant, Olives our a la carte restaurant serving typical Mediterranean cuisine and the Greek Barbeque Grill corner. There are also 2 bars strategically located throughout the hotel. 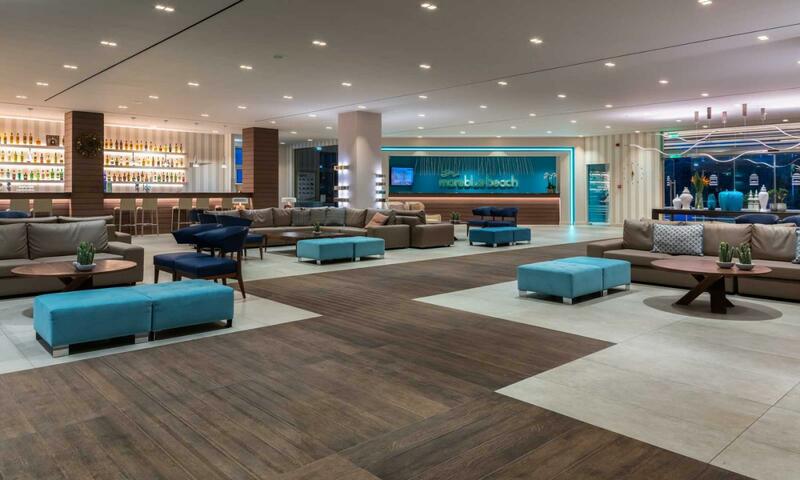 The Mareblue Beach All Inclusive program, offers availability of snacks, meals and drinks throughout the day. 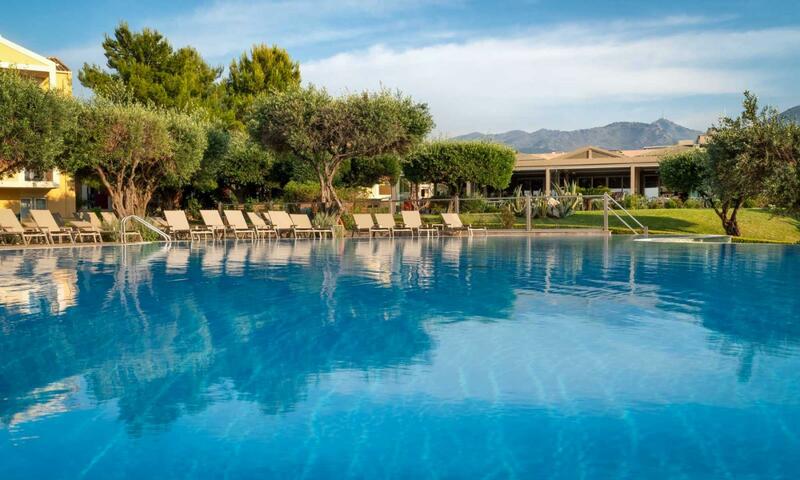 Enjoy the facilities of our Corfu resort: 3 swimming pools, which include the spectacular free form pool our children’s pool and the exclusive adults only swimming pool, gym, mini market, special massage area and for the youngest members of the family, a Miniclub and full day kids animation program. You can enjoy all kinds of sports during your stay, including tennis, basketball, football, scuba diving and many more all coordinated by our sports animator. At night, enjoy the lively nightlife that the hotel offers with live shows in the Teatro Loco and our terrace for more romantic gateways. All our classic double rooms can accommodate one to three people and are an ideal and valued choice for those who want to enjoy their holidays with their loved ones in an ideal location.With private balcony or terrace for lounging in the Sea breezes and plush Heavenly Beds for lounging indoors, our inviting rooms may tempt you as much as the beaches and pools outside. All rooms face either our beautiful gardens or full ocean views and are big enough for one queen or two twin beds plus a sofa bed. (28 Square Meters). 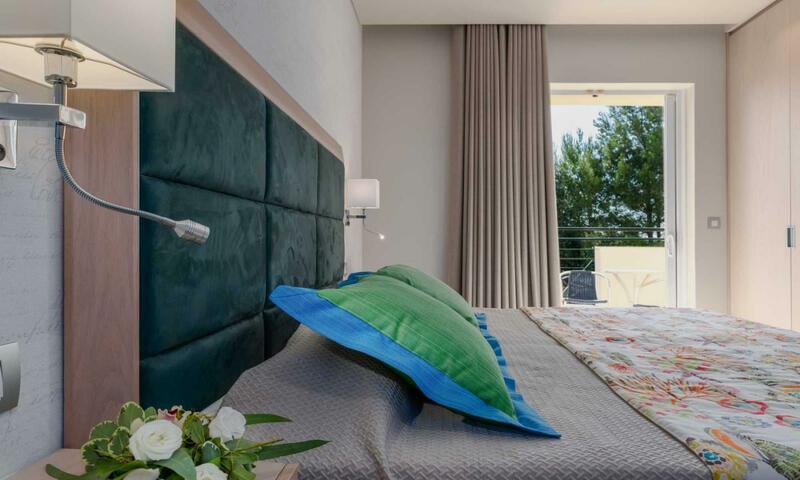 Elegant Mediterranean deco is punctuated by vibrant modern accents and completed with every comfort you will require. Double room de Luxe, can accommodate up to 3 persons. They consist of a double bed (or two twin beds) and an extra bed.Room features: Individually controlled air-conditioning, Satellite TV, Mini fridge, Slippers, Bathroom amenities, Hair-dryer, Walkin Shower, Terrace or Balcony, Direct dial phone, Safe deposit box. Daily Maid Service (6 days a week) Satellite T.V. The family rooms are perfectly suited for a family vacation and can accommodate up to four people (2 adults & 2 children).Each room has a sleeping area ergonomically designed and is an ideal and valued choice for those families wishing to spend time with their young ones.This room gives our young guests a joyful and playful experience. 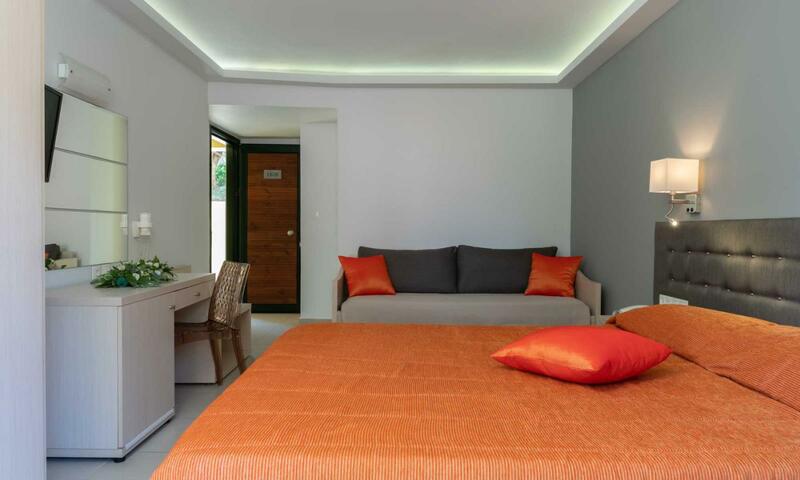 It is decorated with pale colors with a spacious bathroom and features all the amenities for you and your family. Dining options abound at the Mareblue Beach resort, where you will enjoy freshly prepared food in a range of attractive settings. From casual poolside fare to contemporary cuisine to innovative cocktails, our restaurants and bars appeal to a variety of tastes and styles. 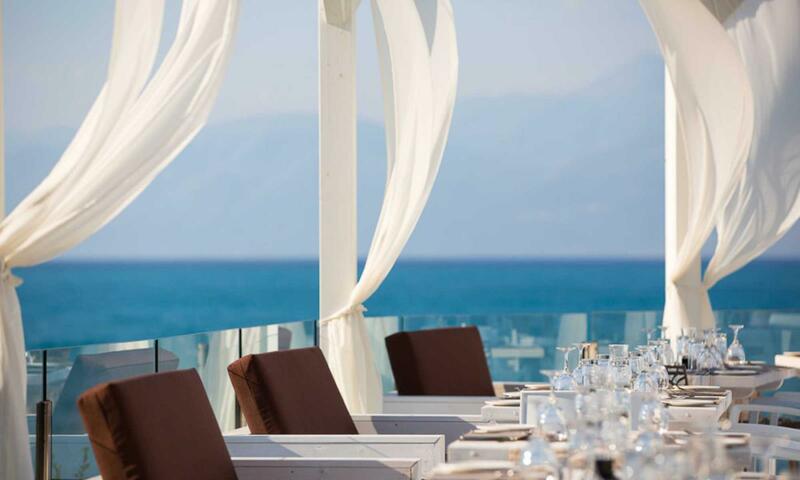 For a truly romantic experience or special event we hold ocean front dinners at our elegant Sea front a la carte restaurant.Watch the sunset or dine under the stars as you enjoy a festival of tastes were the Ionian Sea meets the Adriatic. All our food and beverage facilities are designed and operate throughout the day so you can fully enjoy the Mare Blue Beach All Inclusive experience. Our main buffet style restaurant operates for breakfast, lunch and dinner. When you wake up we offer full American breakfast buffet with on the spot cooking stations, Greek breakfast corner plus continental breakfast and snacks. For a lunch bite you will find a hot and cold buffet with our fresh products and with a healthy touch. Dinner will spoil you for choice when you visit all our different buffet sections which include our fresh salads and hors d’ oeuvres , our pasta section, our Greek corner, our main hot entrée buffet island, carving and action stations (prepared on the spot), and our renowned deserts buffet with our homemade sweets, all from our decorated Chefs. Our little friends have their own separate kids buffet area. Special care is also taken for our vegetarian and health conscious guests. Special evenings with theme buffet twice a week. For those guests who do not want to leave the pool area, our pool restaurant offers a variety of pizzas, fresh pastas cooked for you on the spot, fresh salads and desserts. This outlet operates during lunch hours. Overlooking the St Spyridon bay at an extremely romantic location this brand new a la carte restaurant is promising to fly you away in experiencing new gastronomic and sensual tastes. You will be able to choose a three course meal from our special designed a la carte menu. Delicious souvlaki with pitta bread, grilled chicken and lamb on spit on special occasions. 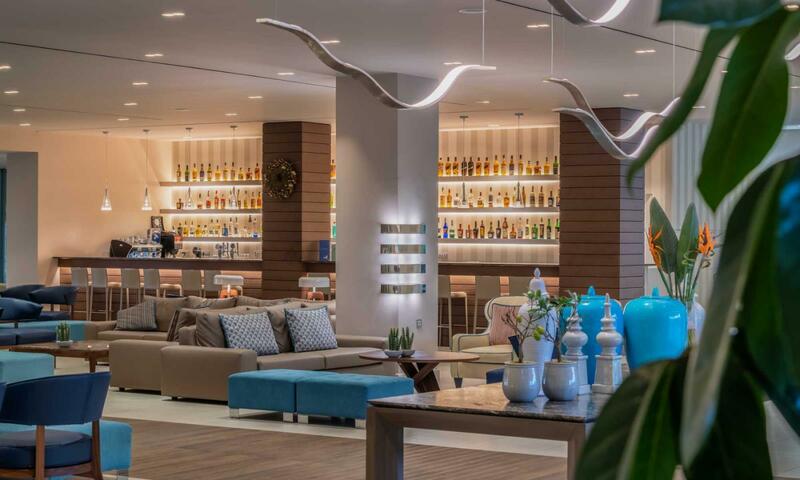 Situated in our main lobby area serves locally produced and imported alcoholic drinks, a range of hot and cold beverages, which you can enjoy by either listening to our piano player or in other days watching a live sport/football event in our large screen in the terrace area. Right next to our main free form pool you can enjoy throughout the day our exotic cocktails and all our drinks and beverages, overlooking the incredible blue Ionian Sea and also enjoy our professional animation team performing on stage and around the pool.